As the cooler weather of fall sets in, we start to crave hearty dishes like shepherd's pie, creamy pasta and steaming bowls of soup. In this week's meal plan, we selected 7-cozy dinners that will warm you up and satisfy your soul, without going overboard on calories. 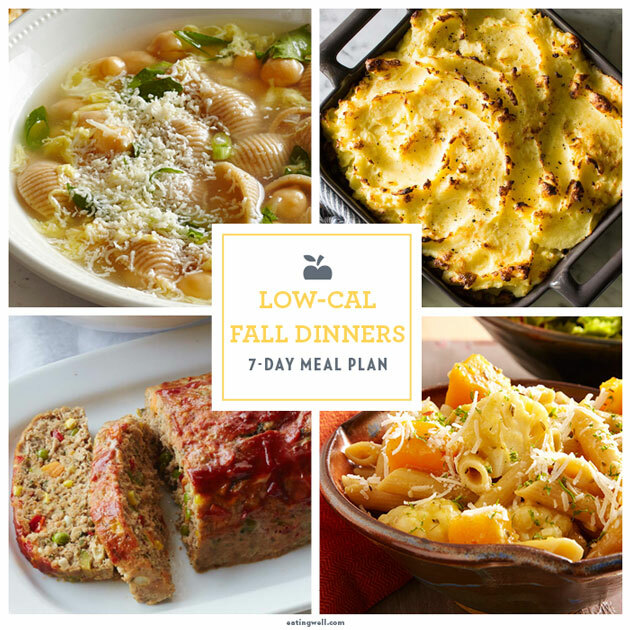 The dinners in this meal plan include lots of nutrient-packed veggies, naturally low in calories and high in fiber, to keep the meals filling. These recipes sear, braise and roast ingredients to bring out natural flavors and aromas and use plenty of herbs and spices to add even more depth to each dish. We hope these delicious dinners become a regular part of your fall recipe lineup. 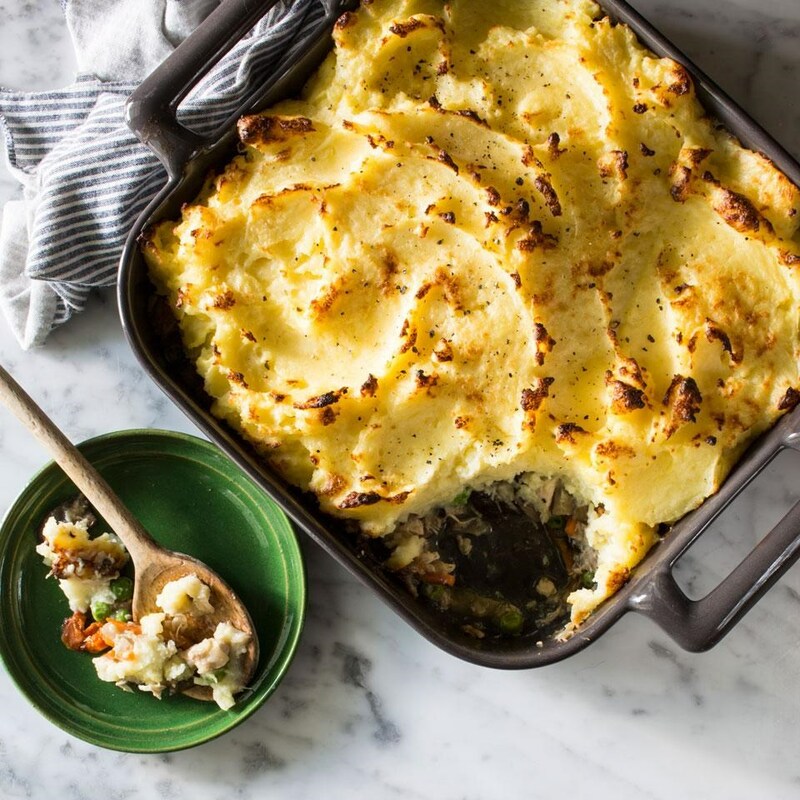 Chicken & Mushroom Shepherd's Pie: The creamy chicken filling is spiked with sherry and the potatoes are mashed with olive oil in this healthy shepherd's pie recipe. To make individual pies, use six 10-ounce ramekins. Serve with a leafy green salad with balsamic vinaigrette and crusty bread. 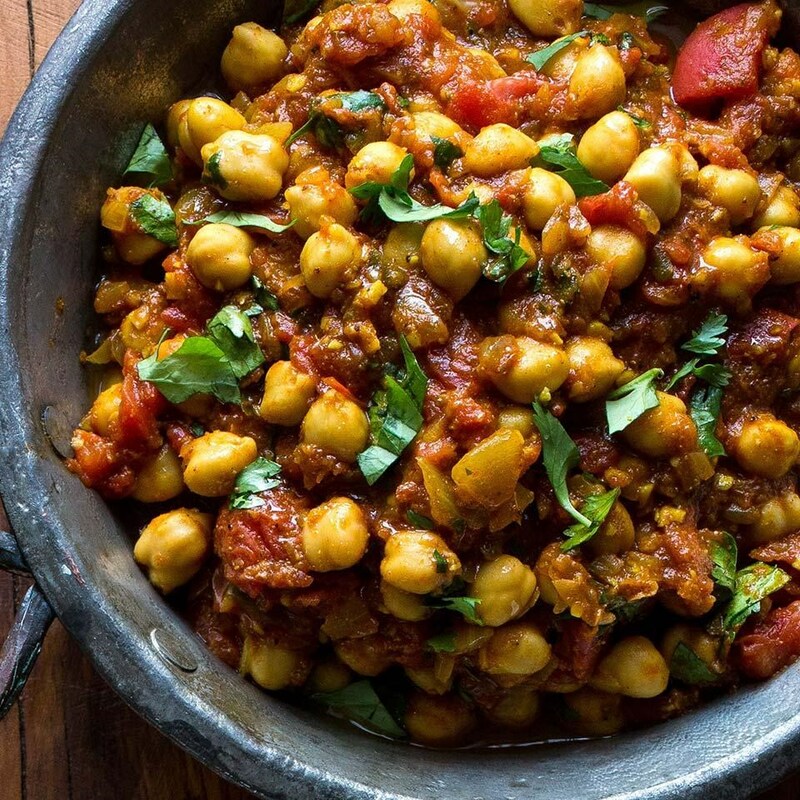 Chickpea Curry (Chhole): Made with convenient canned beans, this quick and healthy Indian recipe is an authentic chickpea curry that you can make in minutes. Warming spices like ginger, cumin and garam masala add deep flavor to the dish. If you want an additional vegetable, stir in some roasted cauliflower florets. Serve with brown basmati rice or warm naan. 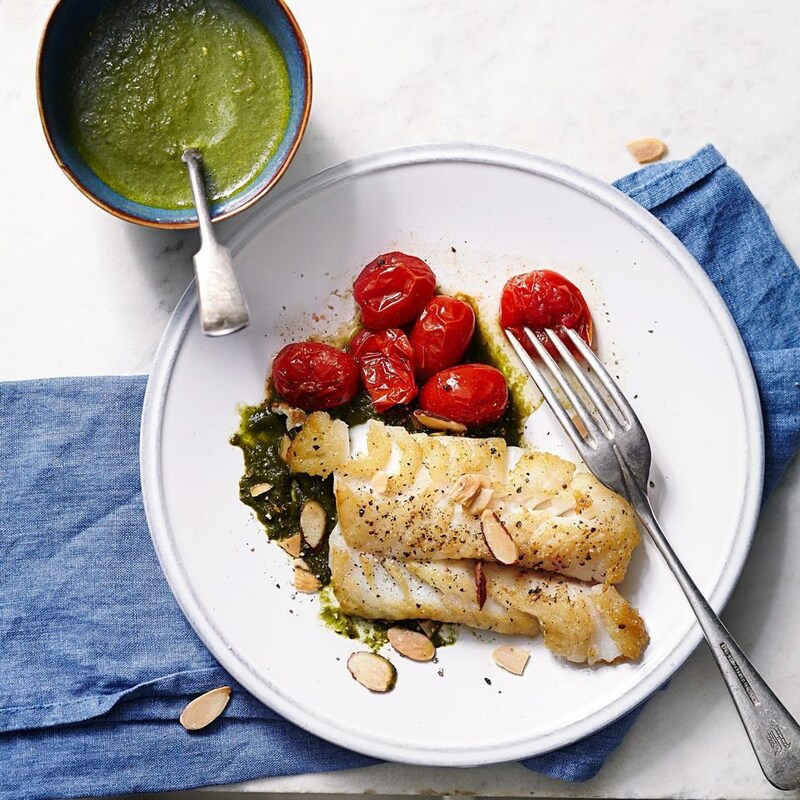 Seared Cod with Spinach-Lemon Sauce: A citrus-laced spinach sauce zests up delicate cod in this healthy fish recipe. If you can find Meyer lemons, use their sweeter juice instead of the regular lemon and orange juices. Serve with roasted cherry tomatoes and zucchini with angel hair pasta. Italian Egg-Drop Soup: Italian egg-drop soup, Stracciatella, is traditionally a light soup made with just chicken broth, eggs and herbs. 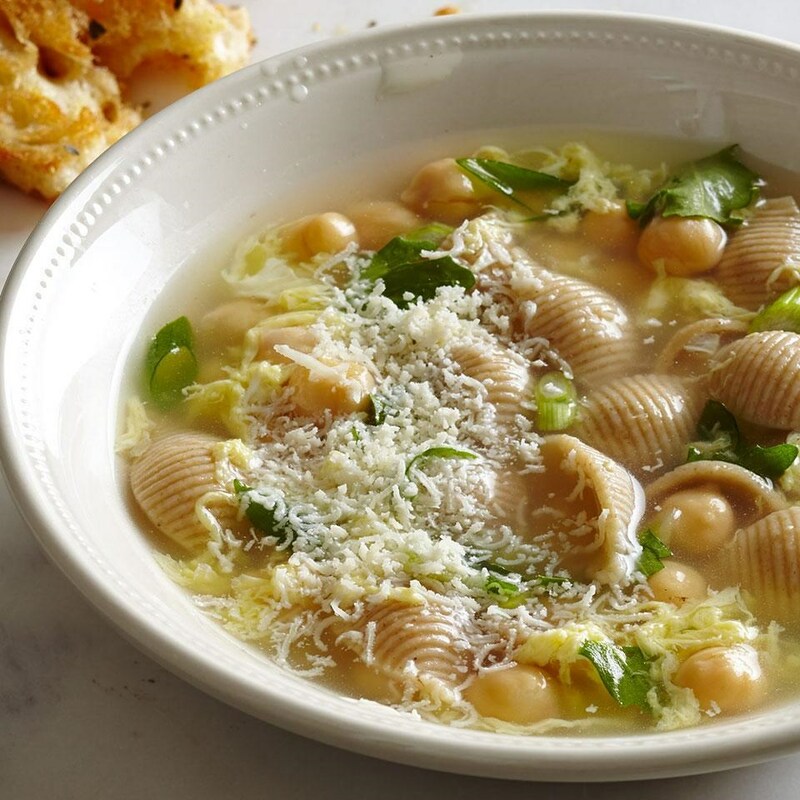 We added pasta, chickpeas and arugula to turn it into a satisfying, yet still low-calorie meal. Serve with the soup with garlic bread and a Caesar salad. 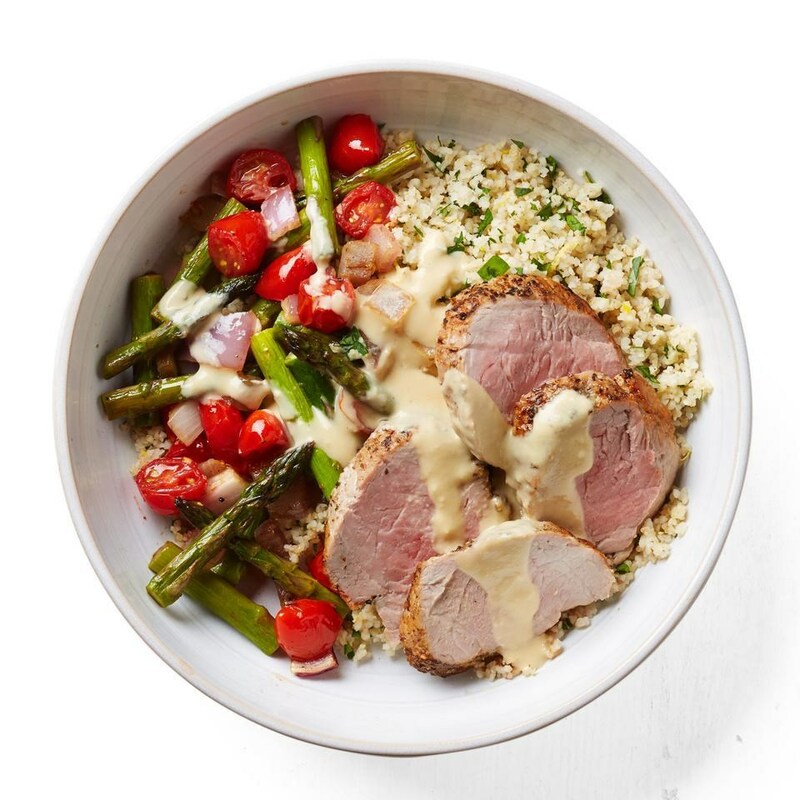 Roast Pork, Asparagus & Cherry Tomato Bowl: In this healthy bowl-dinner recipe, roast pork, asparagus, onions and tomatoes top fiber-rich bulgur. Hummus may seem like an unconventional dressing ingredient, but here we thin it with some hot water to make a rich, creamy, low-calorie sauce to finish off the dish. 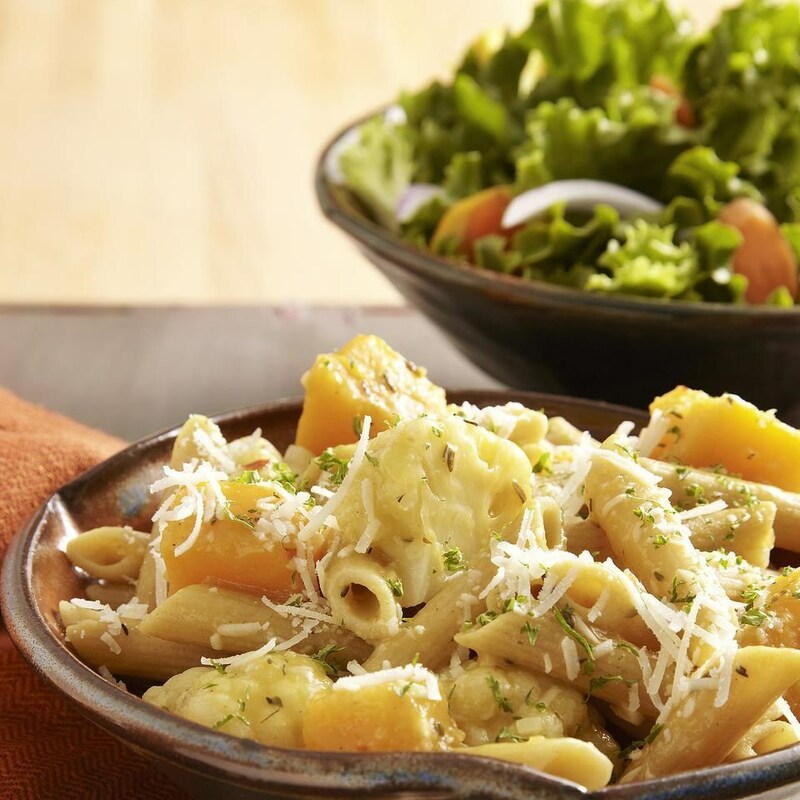 Braised Cauliflower & Squash Penne Pasta: In this braised cauliflower and squash penne pasta recipe, we cook the pasta and vegetables in broth rather than water to make this warming vegetarian pasta extra flavorful. The starch from the pasta and vegetables combines with the broth as it simmers and creates a silky sauce. And you can make the whole dish in just one pot, so cleanup is a breeze. 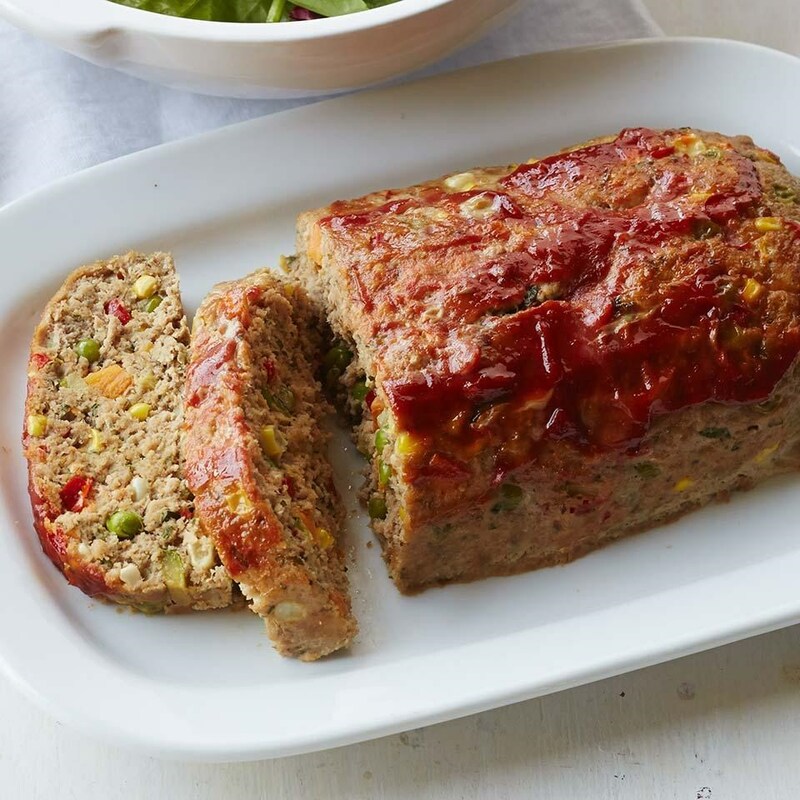 Turkey & Vegetable Meatloaf: This healthy meatloaf recipe uses lean ground turkey and lots of colorful vegetables. This recipe makes two loaves, so you can either feed a crowd or save the other loaf for the next day to enjoy as sandwiches or set atop a salad of vinaigrette-dressed mixed greens.